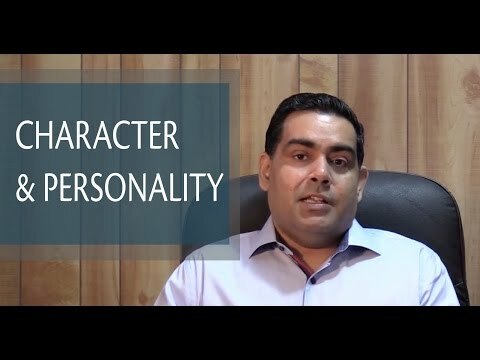 Each of us has a unique constellation of personality and character traits that consistently influence our behaviors across time and situations. In this section, you’ll explore the spiritual origins of traits and tendencies, learn how they’re actualized within you, and how you can evolve them to higher states of consciousness. Personality and character can be notoriously resistant to change, especially for adults, who may be carrying around years of behavioral conditionings and indelibly ingrained tendencies. But by harnessing the power of the subtle energy system through meditation, Sahaja can improve our all-too-human personality and character traits. 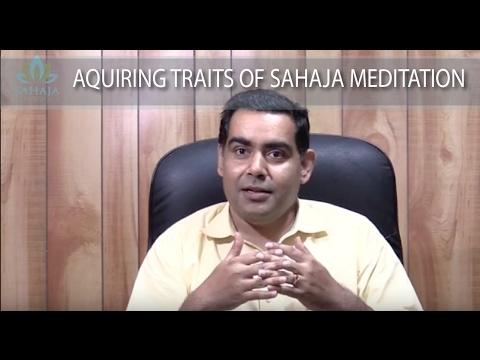 You’ll discover that Sahaja meditation is unique in its ability to provide its practitioners a path by which they can become true masters of the Self and Spirit. By controlling and balancing these innate tendencies and ultimately reducing or eliminating our dependency on them, personality and character improve. In the modern age, all human beings have each of these three gunas or tendencies within. (It may have been a different story thousands of years ago as humans were evolving over time.) The Saatvik tendency grants us a higher and more evolved state of existence than the Rajasic tendencies, which, in turn, grants us a higher consciousness than Tamasic tendencies. These tendencies, and the characteristics associated with them, play a crucial role in the evolution, over time, of personality and character. They provide the natural forces within us that lead to various behaviors. At the same time, self-awareness and attention grants us the ability to introspect and understand these tendencies within ourselves and, ultimately, to improve or overcome them. This is, essentially, the process of human character evolution. Perhaps we can say that, at any point in time, most of our personality and character traits are triggered by one of these three inherent tendencies within, or by any combination of them. It is also true that we tend towards certain traits and behaviors more than others at a particular point in time, depending on which of these three forces or tendencies is dominant. Of course, how we comport ourselves in the world also depends on the level of self-awareness we have, the degree of control we are capable of exercising over them, and our levels of maturity and spiritual evolution. These tendencies were created by nature in such a way that human beings, the most evolved of living species, would always be allowed to exercise total freedom and discretion when it comes to managing their own evolution. In effect, the evolutionary process is a test of human freedom, will, and desire to improve. We are always free to succumb to baser instincts, forces and tendencies within us and fall into that self-damaging downward spiral. But, by the same token, we are also always free to make good choices and fight against self-defeating forces and traits that would drag us down. Strengthening the ability to resist negative tendencies through Sahaja meditation allows us to move upward on the evolutionary spiral. Why did nature instill this built-in mechanism of increasing entropy or degradation, in the absence of any human effort? Because we humans tend to grow complacent when everything is granted to us too easily. We lose our desire to work hard to evolve. So, some sort of a strong test of will and character must have been deemed essential to provoke us to actively choose — and actively pursue — evolutionary advancement to higher states of existence. Obviously, the ability to understand “how the game itself is played” is also built-in. As is the ability to verify that such an intricate mechanism for spiritual-evolutionary progress exists. This is that spark deep inside us, that inner intuitive urge to seek answers and strive to achieve higher states of consciousness. Specifically, Sahaja practitioners know that this seeking “spark” exists within the 3rd or Nabhi chakra, and that it is through the power of this chakra that we evolve. People dominated by Tamasic tendencies are typically lethargic, dull, low-activity people who are dwelling in the past and more emotional and moody than usual. On the positive side, however, they can also be the calming influence in some situations, and, in general, may exhibit stronger bonds of love and affection — in fact, possibly too strong for their own good and the good of others. They are not serious-minded individuals and cannot be counted upon for dynamism and acting to achieve important goals; for example, dreamers who achieve very little are typically dominated by Tamasic tendencies. They are also easily dominated by others. But on the positive side, they are also the ones who tend to be more heavily engaged in family life. On the positive side, Rajasic tendencies drive action, dynamism, planning and thinking. But on the negative side, they can push us to extremes, making us aggressive, dominating and excessively futuristic (i.e., focusing too much on the future, rather than on the present). In very extreme cases, Rajasic tendencies can lead to violent behavior. Excessive Rajasic tendencies also typically cause us to constantly question the status quo — often unnecessarily, because we are primarily being driven by strong egoistic tendencies. Needless, unjustified rebellion, attempts to discard or diminish any sense of right or wrong, and defiant or oppositional attitudes (such as “Nothing can ever be wrong” or “So what?”) for most any event originate from these tendencies. Dominant Rajasic tendencies may also cause us to become superficial, artificial, mechanical, insensitive, unempathetic or even devoid of feelings such as love, affection and compassion. People with such tendencies also typically are dominating and aggressive and may go to any lengths to impose themselves or their ideas on others. The tendency to over-analyze and over-think is also typical of dominant Rajasic tendencies. Spontaneity is largely absent. These individuals tend to find less enjoyment in their family lives, relationships, and activities that would normally bring them joy. Saatvik tendencies help us maintain a sense of balance, allowing us to constantly adjust our traits and behaviors whenever the balance swings towards extremes, or when either of the other two tendencies are dominant. Saatvik tendencies grant us the power of seeking, or the ability to aspire to and achieve the higher reaches of spiritual evolution. When we’re dominated by Tamasic or Rajasic tendencies, there’s little room for us to focus on seeking and achieving higher states. The Saatvik tendencies also strengthen our moral compass, deepening our intuitive sense of right and wrong and further evolving our character strengths. The desired path for spiritual evolution is: Tamasic to Rajasic to Saatvik. This means that we improve personality gradually, first overcoming our Tamasic tendencies and then Rajasic tendencies, before we can firmly establish ourselves in the Saatvik state. In reality, however, we exhibit a mixture of all three tendencies at all times and the tendency that dominates us the most consistently is the one that primarily governs our personality traits, character traits and behaviors. Personality and character evolution is a progression, a “work in progress” where the overall effect or may tend towards Tamasic, Rajasic or Saatvik at any given point in time. This also means that the lethargic and nostalgic tendencies are considered to be the “lowest” tendencies of all. But we can use our Sahaja meditative practice to transform them into dynamic, action-oriented behaviors and ultimately progress to a balanced state where we are able to master our tendencies, thus master our personality and character. Once we reach this stage, and provided that we’re careful about not falling backward to lower states, the progress of our spiritual ascent begins to accelerate.